Anyone who has ever tackled a lobster, or eaten a clam or oyster, has been faced with an entire sea creature. And this is why myMEGusta is so surprised at the very American aversion to whole fish on a plate. But, we don’t judge, so let’s talk about ordering a whole fish and dealing with it. First, why? 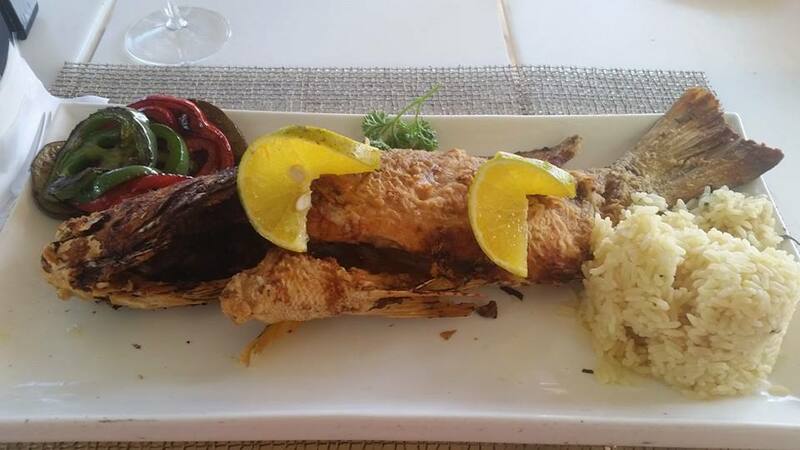 Because a fish cooked on the bone is better. Period. The meat adjacent to the bones stays moister and tastier than if directly exposed to heat, and this is try whether grilled, or fried, or baked in foil or parchment. Then, how? Just ask the waiter to bone it for you. They’ll take it away, whether back to the kitchen or to a side stand, and, voila, lovely little filets return on the plate. They’ll even do this at the Red Lobster, it’s not some kind of fancy French service. But what about the head? It’s the best part, although we realize that most readers won’t believe this. The meat is tender and rich, and the cheeks are a real delicacy. You can even buy cod cheeks in fish markets in the Boston area! 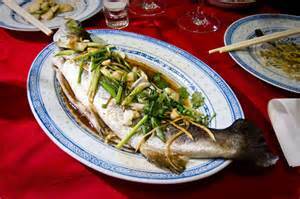 There are traditions and myths about whole fish. 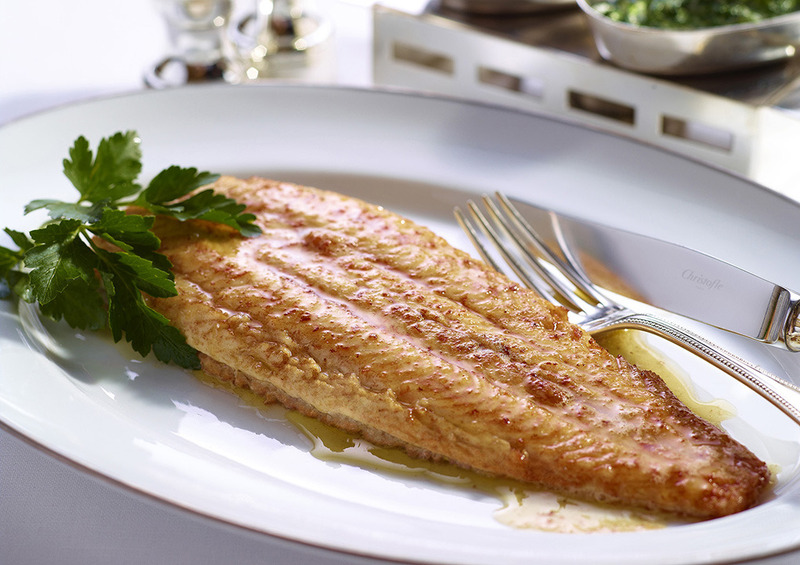 When a whole fish – whether a trout or a sole or a sea bass – is served in France, the head is always on the left side of the plate. We have no idea why this is, but vividly remember a chef-instructor in Paris many years ago saying “La tete a gauche, Mademoiselle!” (“The head on the left, Miss!”) Readers! If you know why, other than tradition, please comment! As for fishing related myths, the Japanese never turn a fish once plated, carefully lifting the bones to reach the meat on the plate-side, because of an old belief that if the fish is flipped over, the fishing boat will capsize. They also believe that the presence of a woman on that vessel will cause it to sink. 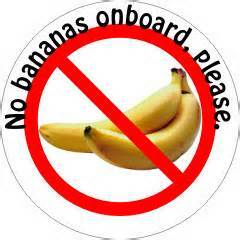 Then there’s the American superstition about bananas bringing bad luck on a fishing boat. We don’t make this stuff up. 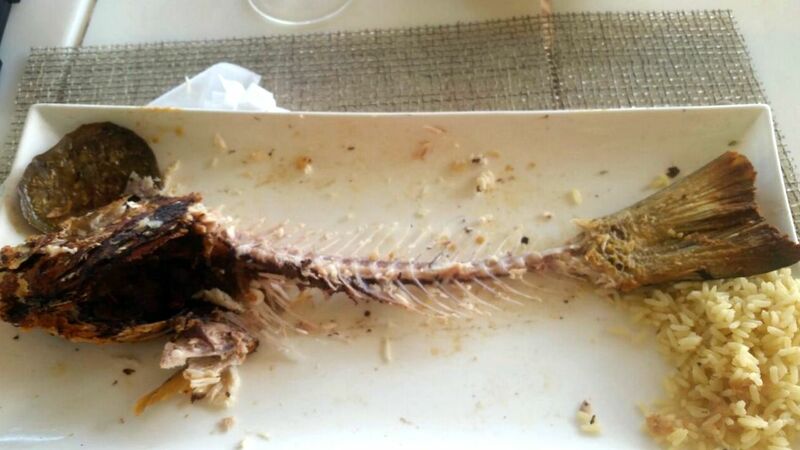 I noted that the Italians also dont turn the fish once it is on the plate  they eat one side or remove that side of the fish, gently lift the bones off, and eat the other side. Americans must believe fish come without bones and skin. Because of our apparent need to transform flesh food so that we can’t tell its animal origin, we lose flavor and also waste a lot of high quality protein. A flounder (fluke) yields approximately 50% in fillets and only 40 plus per cent if the skin is removed. 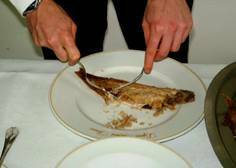 The flesh on most fish frames, which we could eat if the fish was served whole, is not utilized. Once in the Tonga Room, a kitschy/fun tiki bar in the Fairmont Hotel in S.F., a waiter questioned whether I really wanted to order the whole fish. Perhaps I didn’t fit his whole fish eater profile. It’s changing slightly, but the sad fact is that I rarely get a change to order whole fish in a restaurant. I couldn’t agree with your point more.